God's names reveal His favor and immeasurable love for you. He is your Healer, Provider, Peacemaker, Conqueror, and much more. By knowing how God expresses His love for you through His names, you can: *deepen your fellowship with Him *discover your purpose in life *find security and peace in His presence *receive healing for your body *defeat Satan's influence in your life By understanding the nature of God, you'll reap the blessings of His many promises, live out the great plan He has for your life, and have your deepest needs met. Names Of God by Lester Sumrall is published by Whitaker House and is our 30543rd best seller. 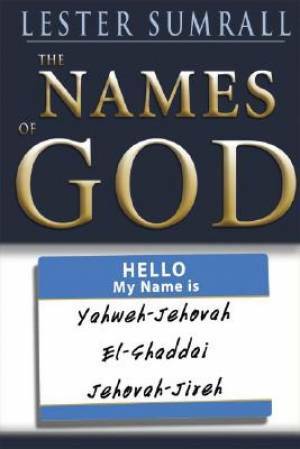 The ISBN for Names Of God is 9780883687796.